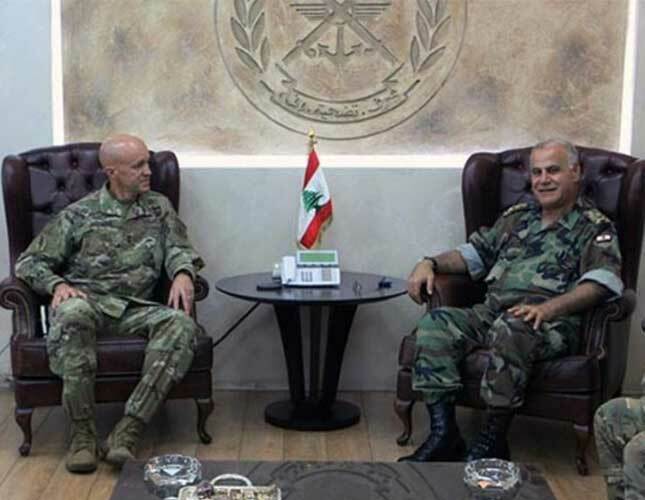 Lebanese Army Commander Jean Kahwaji met on Wednesday with US Commander for Special Operations Command Central Command Major General Darsie Rogers, according to Lebanese News Agency (NNA). Talks during the meeting touched on cooperation prospects between the armies of both countries, especially in the field of training of special units, their equipment and securing their stringent needs in the framework of US aids program intended for the Lebanese Armed Forces. On 30 July 2016, Lebanese Defense Minister Samir Moqbel approved the extension of the term of Army Commander General Jean Kahwaji by an additional year in light of the difficult circumstances Lebanon is passing through, Kuwaiti daily As-Seyasah reported. Extending the term of Kahwaji is the “best option and the most appropriate for Lebanon and the army in light of the difficult conditions that the country is passing through and in the absence of a president,” ministerial sources told the daily on condition of anonymity. “The cabinet will approve the extension based on Moqbel’s request any time soon although there are objections. However, these objections will not hamper the step,” stated the sources. Moqbel had in August last year postponed the retirement of Kahwaji, Chief of Staff Major General Walid Salman and Higher Defense Council Chief Major General Mohammed Kheir, extending their terms by one year, after the political forces failed to reach an agreement on security and military appointments. Kahwaji’s tenure expires this month. The Army Chief’s term has been extended twice since 2013 despite political objections, especially from the Free Patriotic Movement, which says it rejects term extensions for any military or security official. FPM founder MP Michel Aoun, reportedly failed in seeking the appointment of former Commando Regiment Chief Chamel Roukoz (his son-in-law) as a successor to Kahwaji. Roukoz retired last year from military service.